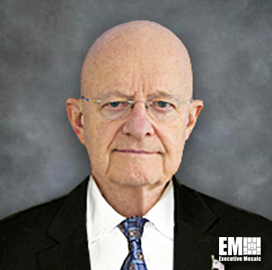 James Clapper, former director of national intelligence, has joined Reston, Va.-based technical services contractor StellarPeak as a senior adviser. 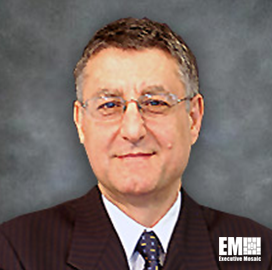 He will help advance the company’s growth efforts particularly in the intelligence community by building up market intelligence, business development and corporate strategic planning initiatives, StellarPeak said Tuesday. StellarPeak CEO Nuhad Karaki said the company’s leadership team is excited to work with Clapper, whose experience would play a role in meeting the company’s goals. “Jim shares our vision and brings innovative and strategic thinking to how we’ll meet current and future needs of our customers,” Karaki added. Clapper is the fourth DNI and served as the principal intelligence adviser during the Obama administration. The retired Air Force lieutenant general previously served as undersecretary of defense for intelligence in two administrations; director of the Defense Intelligence Agency; and head of the National Geospatial-Intelligence Agency. StellarPeak provides integrated cyber, systems engineering, intelligence analysis, cloud engineering and training support services to intelligence and defense agencies and other clients in the federal government.